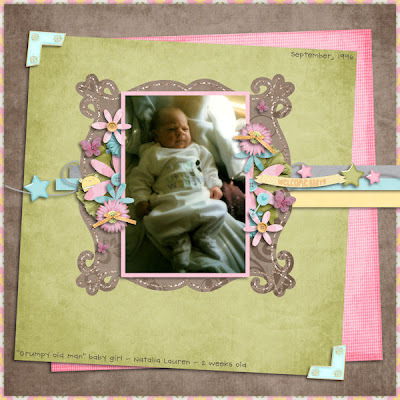 Check out this adorable, sweet baby kit from Christin's Creations called Snookums. It's packed full with 30 papers and 76 elements. It's full of everything you'll need to capture those beautiful memories of your little one. 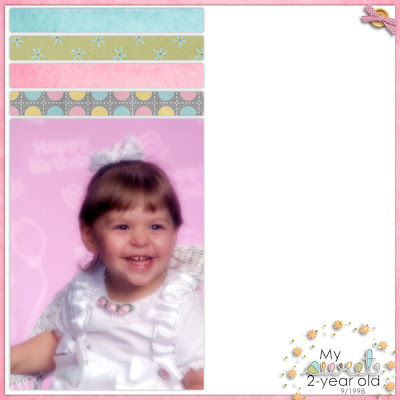 I was able to find a couple sweet pictures of Lia when she was little. They scanned well, and here is what I created.